Total alkalinity describes the measuring of all alkaline substances found in the swimming pool water, and can be used to estimate the buffering capacity of the water from wild pH swings. 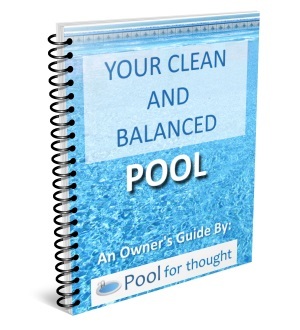 What is swimming pool Total Alkalinity? Total alkalinity is a measurement of the total quantity of alkaline substances in water. It can also be referred as the ability of a solution to neutralize acids, and a measure of the ability to buffer against large changes in pH, called pH bounce. The majority of total alkalinity is derived from the presence of calcium carbonate, although magnesium carbonate is also present in the water, but in lesser quantities. Total alkalinity is one of three key water balance levels that need to be monitored, with pH and calcium hardness being the other two. Rapid pH fluctuations from low total alkalinity can wreak havoc with the water balance of a swimming pool, and make it difficult to treat water balance issues like pH and calcium hardness. 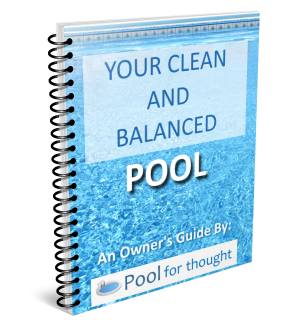 With low total alkalinity, the water can quickly change from a low pH state, causing corrosion on pool surfaces, to a high pH state. High pH can turn the pool water cloudy, causing calcium precipitate flakes to free-float in the water and on the pool floor, and eventually cause water scale to form and build up.